James Ricciardi, a former law clerk to the Honorable Daniel M. Waldman, J.S.C. (Ret.) of the Superior Court of New Jersey, possesses intimate knowledge of New Jersey practice and procedure within the New Jersey State and Federal Courts. 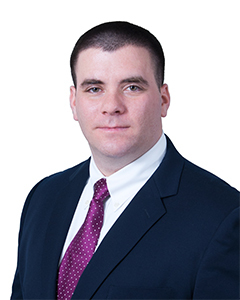 James handles all aspects of insurance defense, including against claims of negligent security, slip-and-fall accidents, Dram Shop and products liability. Additionally, James handles a wide variety of insurance coverage litigation and subrogation matters on behalf of insurers. New Jersey 2008 Pennsylvania 2008 Third Circuit U.S. Court of Appeals U.S.D.C. D.N.J.